May 11, 2017 By Let's Learn Hungarian! 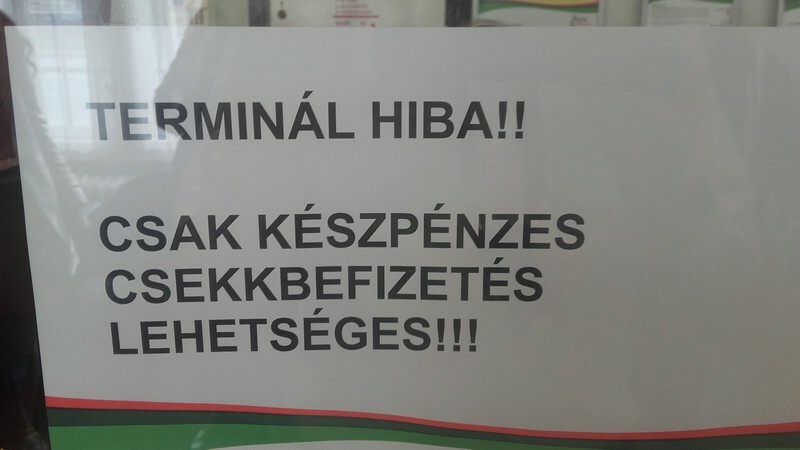 I snapped this picture of a sign in the Hungarian Post Office the other day. There seems to be some sort of serious problem, based on the excessive use of exclamation marks!! So what can’t you do now? Read the sign below and take the quiz! Based on the sign, what is not possible at the moment? I do like to pay at the post office. Super easy to pay all at once! I’d have to have come back. Hungarian shopping: What kind of cookie is this? Spice up your cell phone with these Hungarian language messages!